Is there a medication to prevent Alzheimer’s? Not yet, but scientists will soon begin testing to determine whether a drug may be able to prevent the onset of the disease. It will likely be years before the results are in, but the step offers new hope for the millions of people at risk for the disease. Current Alzheimer’s medications, like Aricept and Namenda, may ease symptoms for a while but do nothing to stop the relentless progression of the disease. The drug being tested, Crenezumab, is designed to stop the disease in its tracks, years before memory loss and other symptoms become apparent and damage from Alzheimer’s takes its toll on the brain. The drug is being tested in an extended family in Colombia, in South America, that carries a rare genetic mutation that makes them susceptible to the early-onset form of Alzheimer’s, which often strikes before age 50. A small number of Americans with the gene defect will also be participating. The hope is that, if the drug works in those with early-onset disease, it may help the many people at risk for the far more common late-onset form of Alzheimer’s that strikes after age 60. By focusing on individuals that carry the gene for the early-onset form of the disease, which guarantees that someone will get Alzheimer’s at a relatively young age, scientists can more easily determine whether the drug works. Some gene carriers will get the drug, while others will take a placebo. The several hundred participants in the trial will be monitored regularly using cognitive tests that measure memory and thinking skills. They will also be closely monitored for glucose uptake in the brain (a measure of brain health), brain shrinkage (a sign of brain cell loss), Alzheimer’s proteins in the spinal fluid and other factors. The study is expected to last five years. Scientists hope to start detecting signs of whether the drug is working in the next two to three years. Crenezumab is one of several new drugs under testing that slow the formation of plaques in the brain, a hallmark of Alzheimer’s disease. The plaques, composed of a toxic form of the protein beta-amyloid, are thought by many to play a major role in Alzheimer’s onset. Crenezumab was chosen because it is thought to have fewer side effects than similar drugs. 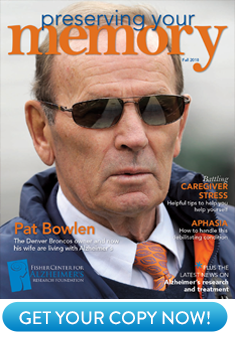 The history of Alzheimer’s drug testing, however, is riddled with false leads and pitfalls. Some drugs and vaccines designed to attack beta-amyloid and other Alzheimer’s targets have actually made patient’s worse. Other drugs have been tested for Alzheimer’s prevention, including hormone replacement therapy in women and anti-inflammatory drugs, as well as the herb ginkgo biloba. None have so far shown any benefit. The current trial is being funded by Genentech, the maker of the drug, with additional funding from the National Institutes of Health and the Banner Alzheimer’s Institute in Phoenix.